Let’s go ahead and get this out the way: Jay-Z is the greatest rapper of all-time. That includes any and all you wanna name, dead or alive. Feel free to fight me if you disagree. But this is a man, who more than twenty years into his career, was in Philadelphia headlining the two-day major festival he curates for the first time in five years, on the heels of releasing one of his best albums this summer, which was broadcast live on his own streaming site, on the 36th Birthday of his iconic wife. Hov brags different, because he’s done things on a level no rapper of his pedigree has been able to achieve before, or so far, after him. This was the first Made in America festival that I’ve been back around in the city of my birth and able to attend. I did not have any grand plans to do so. The lineup, with a few exceptions (Solange, Run the Jewels, Little Dragon, Pusha T) was not anything that got me particularly excited, outside of its second-day headliner. But as Labor Day Weekend approached, while many of my Philly/South-Jersey-based cohorts vacationed down the shore, it was clear my summer season would best be punctuated one way: go see Jay on the Parkway on Sunday. Saturday’s Made in America event had been marred by unrelenting rainy weather, as well as an unrelentingly boring headliner (J. Cole). This made Sunday a bit of a game-time decision, weather dependent. I will fully cop to being too old-and-washed, to stand outside in the rain like one of the mud people at Woodstock, or Woodstock ’94. I’d seen Jay-Z before. I’ll likely be able to see him again, as it’s now been fifteen years since he “retired”. But when the sun came out on Sunday, by early afternoon it was clearly time to hop on PATCO with Uncle Ryan, and get over to the City of Brotherly Love. From there, we’d make the trek from 16th & Locust to the Parkway, with a small walking tour of selected local watering holes along the way. We took our time. Only one of us made it inside the gates. My level of commitment to witnessing the event, was perhaps a bit different. Once at the precipice, where Uber cars and taxi cabs could no longer go, it was time to find a way into the show. I was not going to pay full price for a two-day festival that had only a couple hours to live. The time had come and gone on most of the lead-up acts. There was just enough time to spare to find a ticket, scalped out front, and make way thru the muck, to get up to MLK Boulevard below the Art Museum steps, where the Rocky main stage would be. It all came together. Blessed by a stroke of luck, for the bargain-basement price of twenty bucks, from a fan heading out of the exit with an extra Made in America band in a plastic bag. Thank you, good sir. I’m not sure why some millennials decided the Chainsmokers ending meant their day was done, but I gladly reaped the benefits of their youthful indifference. It was close to show time, after nightfall, as folks milled about, waiting for the headliner. Shortly after 9, Jigga reintroduced himself to a city he’s rocked countless times, and mined for talent (Freeway, Beanie Sigel, Young Gunz, The Roots) over the years. He did so with the biggest banger off 4:44, in “Bam”. This also led to bringing out Damien “Junior Gong” Marley, the first of a few pleasant surprise cameos. “Bam” also blended perfectly into, and back out of, one of Jay’s best live staples, “P.S.A”. On record, Jay’s first album, Reasonable Doubt, is arguably still be his best. Onstage, it’s fair to say that today, at 47, he’s better than ever. I say that having witnessed Jay open for The Fugees on a college tour at UPENN in ’96, and having caught The Blueprint lounge tour in 2001. The 2017 Made in America Jay-Z, despite not playing a Reasonable Doubt track, is stronger than the one seen in 1998’s Backstage and 2003’s Fade to Black (2003) concert-films. Armed with his best solo album in a decade, superior to 2015’s B-Sides at Terminal 15 show as well. The past few years were relatively rough for Hov, mostly due to his own missteps. On a personal level, he went from boasting about having “the hottest chick in the game rocking my chain” in 2003, to “almost going Eric Benet” and “letting the baddest girl in the world get away”. 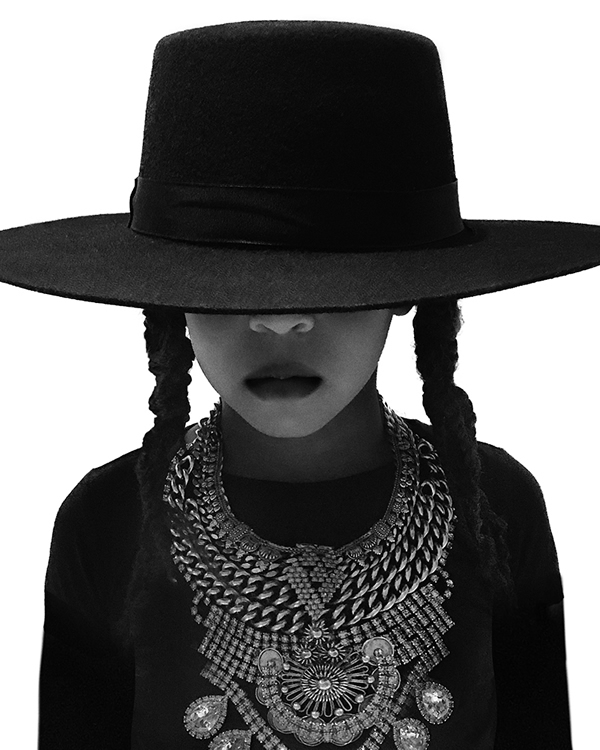 The drama played out publicly, first in that elevator video with Solange, then later via Beyoncé’s visceral classic Lemonade (#6 on SITW Top 16 of '16). Little Sister had fans seeing red on a rainy Saturday night at her Brother-in-Law's Philadelphia festival. On the professional front, came the most underwhelming solo album of his career, 2013’s Magna Carta Holy Grail, along with its accompanying awkward Samsung rollout. There was also the professional and personal split with “little brother” Kanye West. Okay, that last one probably was more likely the mercurial Mr. West’s fault. Regardless, Jay-Z headed into 2017 in the most vulnerable position of his professional career, while spending most of the prior year repairing his marriage. He answered the bell professionally with the most vulnerable album of his career. The end result has apparently found him in a great new space on both ends. That feeling was palpable throughout the evening, on what Jay gushed to the enthusiastic crowd was “a special night” several times. He seemed truly happy to be there, and the feeling was mutual. While he eschewed most of the most personal 4:44 tracks (“Kill Jay-Z”, “Smile”, “4:44”, “Legacy”) he hit all the rest. The crowd provided the bemused “okay” after Jay’s dramatic pause on “The Story of O.J.”. During “Family Feud”, the ladies in the crowd formed an Amen Choir. “Marcy Me” became a coda to the griminess of a previous ode to Marcy Projects, released twenty summers earlier, “Where I’m From”. 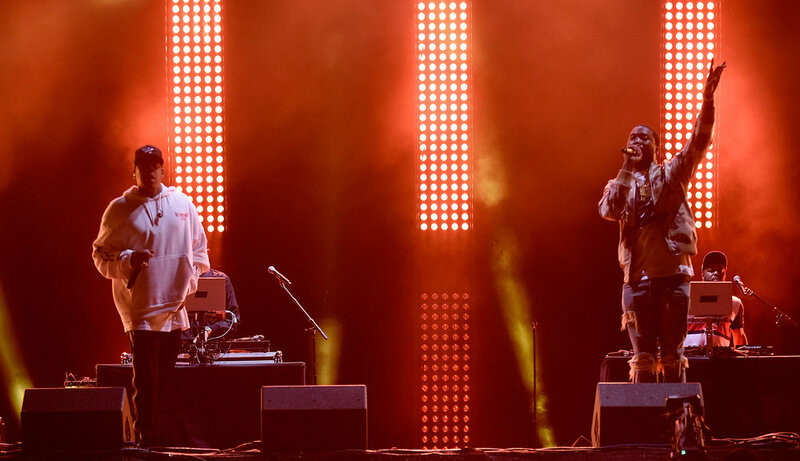 With assistance from longtime engineer Young Guru on the decks, the mix was pristine, while the show’s pacing felt perfect. Jay’s appeal has always been maintaining a casual, cocksure, cool. So even though his movements are more animated nowadays, he’s still just one man with a mic up there. Still, he manages to make a large space feel club-size. At one point between songs, he advises two different mosh-pits, a hundred yards back, to merge together. And they listen. Moves like this bolster the gifts of his pure rapping ability, and sheer force of a catalog stacked with anthemic hits (“Hard Knock Life”, “99 Problems”, “Big Pimpin”, “I Just Wanna Love You (Give it to Me)”), spanning three different decades. When Jay said it was a special night, it wasn’t only due to him being back onstage Ben Franklin Parkway in the city that birthed America. It was also the born day of the Queen, who birthed their set of twins earlier this summer. Solange, Jay and Bey, having a much more cordial convo than the one in that elevator. Beyoncé, much to the chagrin of many present, did not make her way onstage during her husband's set. But she was there, watching from the wings, while the Philly crowd serenaded her with Birthday wishes. 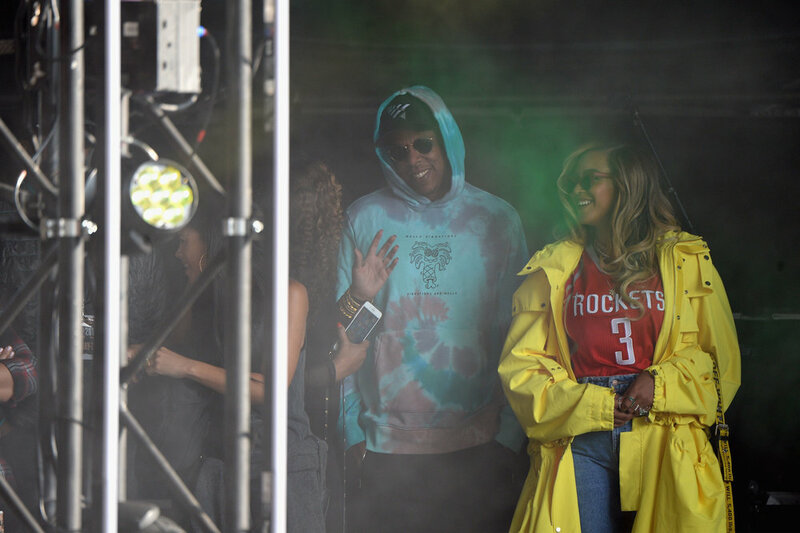 Upon Hov’s instruction, Bey first heard a sea of people singing her the traditional version, and then the Stevie Wonder version. This vid-clip may not do it justice, but trust us, it was a joyfully cool moment. A more melancholy, cathartic moment came with the show closer, “Encore/Numb”. “Encore”, originally off 2003’s Black Album, became a mash-up hit with rock band Linkin Park’s “Numb” in this same spot ten summers ago, when he joined forces with the band at Live 8. This later led to Collision Course, one of only three Jay-Z albums I never bought (the others being the two R. Kelly-assisted Best of Both Worlds volumes). Linkin Park, somehow the largest-selling rock band of the 21st century, lost their lead singer Chester Barrington tragically in July. Jay let the crowd to fill in Barrington’s chorus in tribute to the late singer. It made for a fitting end to the proceedings on the Rocky stage, after two hours and twenty-seven songs. I began making my way thru the foot traffic, and remaining mud from the night before, towards the exit. Passing several rows of concessions on the right side of the parkway, while traversing a couple football fields, I heard music. It sounded like the James Brown loop from Big Daddy Kane’s “Young, Gifted and Black”. But louder than PA level music. And wait, was that Jay-Z’s voice? Why does this sound live? I started making my way left, the music growing louder with each step. Suddenly I realized there were red lights coming from the Liberty stage. Jay-Z was doing an encore after “Encore”, on a second stage close to the exit from the park. Many nearby, making the same realization, began hustling over to the Liberty stage to find a place on the lawn. By the time I got over there, he and surprise guest Just Blaze on the ones and twos, were hosting a mini-set, with B-Sides, remixes and deep cuts. I got settled into a spot, flanked by a couple doing the put-your-girl-on-your-shoulders thing, as he started his first verse from Mya’s “Best of Me”. To borrow an old song title from Jay-Z, “Lucky Me”. Shortly after, Philadelphia’s current biggest rapper, Meek Mill, was joining Jay onstage, as an enthusiastic crowd shout-rapped along to “Dreams & Nightmares”. As Michael Corleone famously said, borrowed later for the hook to “Allure”, the final song before these festivities ended, “just when I thought it was over…they bring me right back”. Nice to have Jay-Z back in Philly, on a special night that made me glad to be back home. Thanks for the memory Jay-Z, Happy Birthday Bey. Donate to BeyGOODHouston for Hurricane Harvey Relief Here.